Why are the insurance quotes of two different car insurance companies different from each other? Well, it is identical to the taste of two same foods of different chefs. As the people behind the cooking are different, so we find uniqueness in their tastes as well. The same is in the car insurance case as two different drivers cannot be the same in performance on the roads and therefore, the rates vary. The cost of a driver’s policy is actually directly proportional to the risk factor that is considered by the car insurance company. When there is a high risk, the premium cost will be higher and if companies think that you are not as much dangerous as others are on the roads, they will give you the most suitable car insurance quotes. However, the buyers remain confused all the time about the insurance quotes and think that these are the insurance companies, who create a difference in the premium costs. The matter of the fact is that the insurance quote reflects our actions on the road. If we behave like a gentleman there, we will find the most suitable rates and if we are a bad performer while sitting behind the steering wheel, we will find the general auto insurance very expensive. If you live in that area where the car theft percentage is higher than the average, the rates will also be higher. The same effect on the car insurance rate can be observed if the zip code of your parking area is the heaven for car thieves. If you park your car randomly anywhere or have already become the victim of car theft, the rate will be higher than your expectations as well. On the other hand, you will get better insurance rates if you park your vehicle inside a garage. All else equal, it is the age that creates a huge difference in premium insurance costs. For example, if you are less than 25 years, you will find that the expensive insurance rates. On the other hand, if you are 40 years old and driving for many years, you will get the maximum age discount. For the senior citizens of age more than 55 years, the insurance rates will be slightly higher as well. Gender? Yes, it also affects! Gender difference impacts the car insurance a lot,especially at the younger ages. The statistics show that male drivers can be influenced more and therefore, become the reason for fatal accidents more and their death percentage is also higher than the women. This reason creates a difference in insurance rates when you are in the mid-20s. With the increase in age, this difference narrows down. Is there any benefit of a married life? Yes, you can get better insurance rates when you are married. The general auto insurance companies think that the married people are more responsible and perform exceptionally well while sitting behind the steering wheel. It helps them get better insurance rates than the single ones. Your driving record helps the insurance companies calculate the risk factor, so if you have charged less than the average, violate the traffic rules not too often and have received just one to three tickets in the last three to five years, you will get the best insurance rates. It reverses when you are a bad driver, violates the traffic rules frequently orhas been charged numerous times. How much coverage do you want against your car insurance? If you want better coverage, you will find the insurance quotes more expensive. 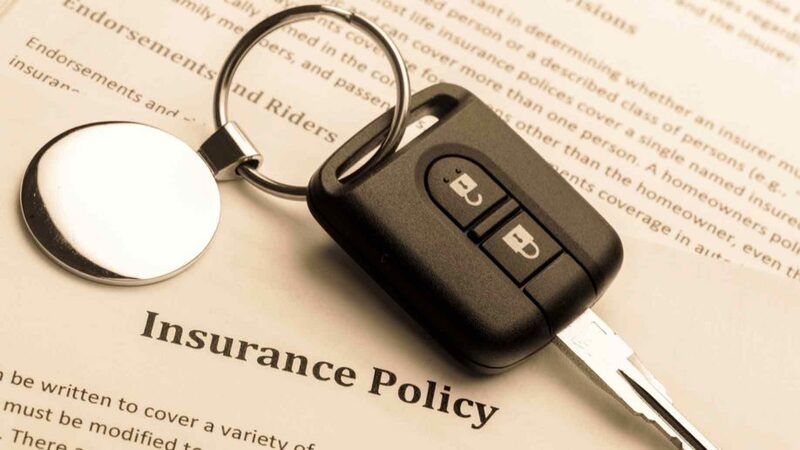 When you go for buying the car insurance policy, you find different types of car insurances to cover you accordingly. While choosing any type of auto insurance, you try to get the maximum coverage out of it. Thinking in this way helps the insurance companies offer you accordingly, but with higher premium costs. Generally, the insurance companies recommend “Full Coverage” instead of buying the different coverages if you want extra benefits. Now, it is up to you what you choose and how you finalize. The car you drive also plays an important role in determining your car insurance rates. For example, if you have an SUV instead of a sedan, you will get better rates. The reason is those researches and surveys, who consider SUV the better car than the sedan. The car age impacts the premium costs as well. If it is old, it requires more maintenance and therefore, needs more insurance rates. The brand new cars, on the other hand, help you get discounts from the insurance company because the wear and tear will not be there in the near future. If you drive more, you are more dangerous in the eyes of insurance companies. Why is it so? Well, the more likely you go on the road, the more you get into accidents. When the insurance companies calculate your risk factor, they also calculate your presence on the roads. If you drive less, you are eligible to get discounts. For example, if you drive less than 10 miles on one side in a day, you will get discounts like a low mileage discount. The car insurance companies offer the same discount if you drive less than 7500 miles in a year as well.